Nothing interrupts your day quite like a throbbing toothache or extreme oral sensitivity. When an uncomfortable dental emergency occurs, you’ll likely start to wonder, “What is the best way to get emergency dental care near me?” Knowing when it’s time to visit an emergency dental office can help you resolve your symptoms and preserve the health of your teeth. How Can I Get to an Emergency Dental Office Near Me? At our conveniently located dental practice, our emergency dentists provide comprehensive urgent dental services during regular business hours. When you visit our skilled emergency dentists in Sweet Water, you’ll receive a thorough examination, quick diagnosis, and treatment for any discomfort. Our goal is to resolve your symptoms quickly so you can resume normal oral function. There’s no need to wait when experiencing oral pain – call our office to make an appointment, and one of our emergency dentists will see you as soon as possible. What conditions should be evaluated by emergency dentists? How do I know if I should search for emergency dental care near me? If you’ve accidentally broken or chipped a tooth, it’s important to receive care as quickly as possible to avoid infection. Emergency dentists recommend using wax to cover any rough edges of broken or fractured teeth. Knocked out a tooth? An emergency dentist may be able to salvage it if you seek care quickly. Find as many of the knocked-out tooth fragments as you can, and keep them clean using warm water. Hold a knocked-out tooth by its crown only. If you’re experiencing tooth pain or pressure, don’t wait to see if it resolves itself. Severe toothache pain or pressure can be caused by a variety of dental health problems. Occasional oral sensitivity may not warrant a trip to the dentist. However, if you’ve noticed that one or more of your teeth has become very sensitive, call our office. Extreme tooth sensitivity can be caused by injury or infection. Without regular oral cleanings, cavities can develop inside the teeth. These holes leave the tooth root exposed, causing a severe toothache. 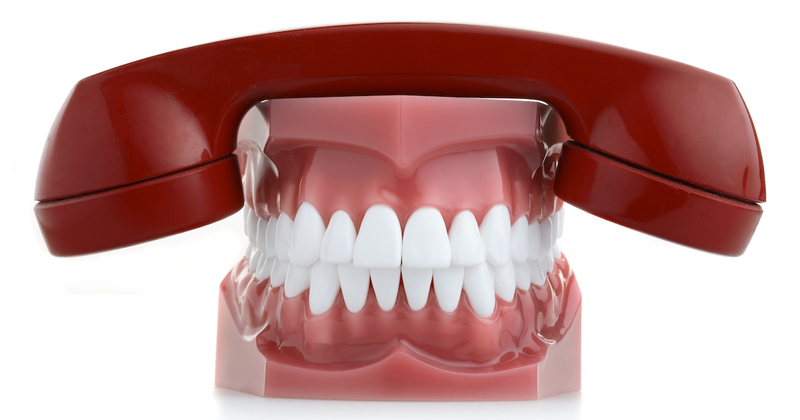 Make an appointment at our office if you suspect a cavity. When infection spreads at the root of the tooth, it is known as a dental abscess. If you’re suffering from an abscessed tooth, you may notice swelling around the neck, foul breath, or draining sores around the gums. Abscesses can cause severe complications if left untreated. Losing or dislodging a tooth filling can cause the affected tooth to become sore or painful. The tooth is also more susceptible to injury or decay, so call our office to book an appointment. Breaking or losing a tooth crown or restoration can cause cosmetic issues in your smile. It also leaves the affected area vulnerable to dental problems, so see our emergency dentists to receive a replacement. Wearers of braces may develop orthodontic pain or even experience an injury from time to time. If your braces have become difficult to wear, our dentists can help stabilize your metal wires and brackets. Nighttime tooth grinding can break down your enamel as time goes on. When the problem becomes painful, see our dentists for a night guard or another protective solution. The sinuses and teeth share a complex relationship. Sometimes, dental issues such as infection or obstructed wisdom teeth can cause issues with the sinuses. Call our office if you notice sinus pressure that’s accompanied by a toothache. I suspect my injury or condition is very serious. Should I call an emergency dental office near me or find a hospital close by? What Should Emergency Dental Care Cost? Cost is a primary concern when undergoing treatment from emergency dentists in Sweet Water. At your appointment, one of our emergency dentists will evaluate your situation and provide information about your anticipated charges. Typically, procedures that must be administered by oral surgeons are more costly than more conservative care at an emergency dental office. While an unexpected trip to the urgent dental care office can place a strain on your budget, it’s important to note that affordable emergency dental care is possible even without insurance. Be sure to ask about DentRite®, a discount dental plan that offers many of the same benefits as dental insurance. DentRite® is easy to join and allows you to save up to 70% on dental care from our office. Give us a call to learn more.